Since the discovery of X-rays in 1895 by Wilhelm Conrad Roentgen and of radioactivity by Antoine Henri Becquerel in 1896, radiation exposure has had an adverse effect on society. In the same year, an assistant to Thomas Alva Edison, an American inventor, developed radiation skin injury. A year after, Becquerel observed an erythema on his abdomen, and ascribed it to radioactive materials. Today, the threat is on the rise. Devices or locations whereby an individual could be exposed to radioactive materials are not rare. Potential sources of radiation exposure include industrial radiography, therapeutic devices, sterilizers, transportation accidents, nuclear power plants, and material chemistry. In the car tire production, for example, radiation is used primarily for its ability to crosslink certain polymers to provide strength. These may be sources of accidental exposure to radiation. Moreover, there are new concerns regarding the threat of radiation poisoning by malicious intent. Radiation cannot be seen by the human eye, smelled, heard, or otherwise detected with our normal senses, nor are symptoms/signs visible soon after radiation exposure. Many people believe that radiation is dangerous regardless of the exposure dose. Therefore, radiation exposure is a wide-spread concern, and its psychological aspects also require attention. When someone is accidentally exposed to radiation and/or contaminated with radioactive materials combined with life-threatening physical and/or chemical insults, physicians as well as first responders may be involved in the immediate assessment and care. However, a lack of exact knowledge of radiation and its effects on these professionals prevent the healthcare and transportation system from functioning appropriately. Although we are always being exposed to natural radiation, exposure to radioactive materials is a unique event. Response to a radiological emergency on-site means providing first-aid treatment for life-threatening injuries/diseases and taking appropriate actions to protect these professionals and others from radiation. It is on the basis of past experiences that first response by fire departments, police forces and medical care by medical professionals are carried out. These professionals are called upon at the time of accidental and/or deliberate exposure to radiation and contamination. Since the practice of medicine and the response to incidents are based on science as well as past experiences, a system for exchanging and sharing information on basic knowledge on radiation and accidental radiation exposure needs for a smooth response. Experiences gained from recent accidental radiation exposure provide more information about complications and the numerous problems yet to be solved. After the accident at the Fukushima Nuclear Power Stations of Tokyo Electric Power Company in 2011, demands or requests for training courses of radiation emergency have been increasing. We have learned from the response to this disaster that basic knowledge of radiation and its effects is crucial not only for health care providers but also for other professionals, including first responders. On one hand, as previously mentioned, radiation cannot be detected directly by our senses, and symptoms/signs do not appear soon after exposure to radiation and/or contamination with radionuclides. This characteristic makes radiation emergencies different from other types of emergencies such as earthquakes and explosions. On the other hand, radiation can be detected at real time, even on-site. This is a key difference from other incidents with chemical materials or biohazards. In training, therefore, opportunities for radiation detection or even its demonstration are essential, and participants could experience radiation detection and measurement using a survey meter from mock-up sources under the supervision of experts. Lectures on radiation physics are often too complex for operators. Unfortunately, there are still a lot of misunderstandings concerning radiation and its effects, alongside the few learning opportunities for professionals. External exposure to radiation such as g- or X-rays is different from contamination with radioactive material; exposed patients do not carry these materials. On the other hand, those with radioactive contamination are sources of radiation. However, experiences of response to contamination events have shown that radiologically contaminated patients generally pose no danger to healthcare personnel. The system for the annual exchange and sharing of information on basic knowledge on radiation exposure should result in a smooth response to radiological events. 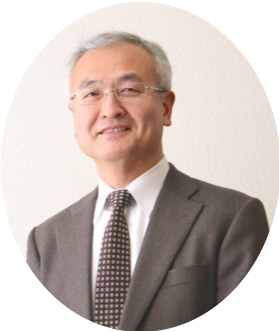 Dr. Makoto Akashi, MD, PhD is currently the Executive Officer of National Institutes of Quantum and Radiological Sciences and Technology (QST) in Chiba, Japan. He served as Executive Director of National Institute of Radiological Sciences (NIRS) from 2011 to 2015 and as Director of the Center for Radiation Emergency Medicine from 2008 to 2010 at NIRS.